Hyundai is also looking to prioritize the production of the AMT variants which contributes 35 per cent to the overall sales. The 2018 Hyundai Santro has received over 30,000 bookings so far. Over 30,000 new Hyundai Santro booked. AMT gearbox contributes 35 per cent to the overall sales. Hyundai is planning to ramp-up production to reduce the waiting period. 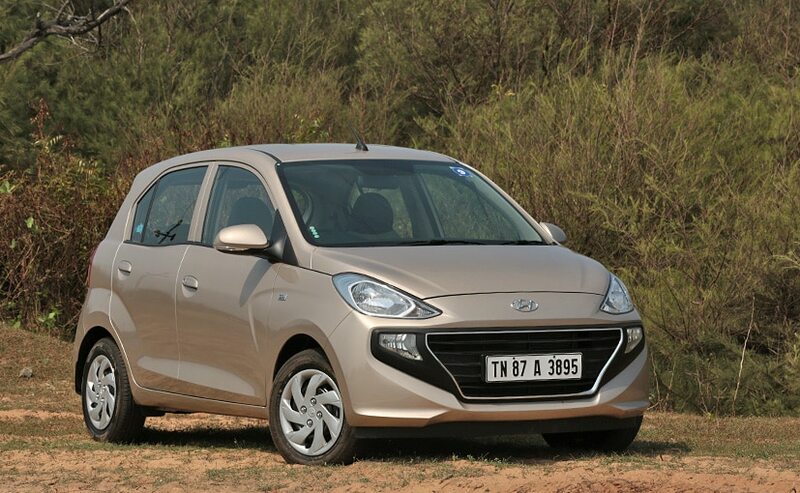 The 2018 Hyundai Santro is one of the most popular and important launches of the year which has again given Hyundai a stronghold in the entry segment. The Korean carmaker has already received over 30,000 bookings for the Santro within a month of its launch and now has the pressure to meet the production targets. The waiting period for the new Santro at present is up to four months depending on the colour and variants. Hyundai has decided to ramp-up the production of the Santro and has increased the sales target to 10,000 units in November in a bid to bring down the waiting period. "The Santro has kept us in a strong position during the festive season when the entire industry witnessed a slowdown. We are under pressure to increase our production as the waiting period depending on the colour and variants has gone up to four months. We have revised our sales target to 10,000 units for November from 8500 units in the previous month and we are hoping to meet that," said Puneet Anand- Sr. GM and Head Marketing, Hyundai. Moreover, Hyundai could also prioritize the production of the AMT variants of the 2018 Santro as it contributes 35 per cent to the overall sales. "The AMT is contributing 35 per cent to the overall sales of the Santro so we'll have to look into that as well," added Anand further elaborating about the sales break-up. The AMT gearbox which the Hyundai Santro is equipped with has been designed in-house at Hyundai. The total cost of development of the 2018 Hyundai Santro is ₹ 700 crores and it's been developed on the new K1 Platform which as we reported earlier, will also underpin all the future sub-four meter Hyundai models. The new platform has made the Santro 63 per cent more rigid which according to Hyundai will in-turn aid it to meet the new crash test norms. However, as of now the Santro is equipped with just a driver side airbag and ABS with EBD as standard while dual airbags and speed warning system are available in the top two variants. The 2018 Hyundai Santro is powered by a 1.1-litre, four-cylinder petrol engine which develops 69 bhp at 5500 rpm and 99 Nm of peak torque at 4500 rpm. The engine is mated to a five-speed manual gearbox as standard while the five-speed AMT is also available as an option.